This project consists of a two storey 52,000 sq.ft. structural steel framed building, constructed on a 4.6 ha parcel of land, located at 1400 Crawford Drive, Peterborough, Ontario. 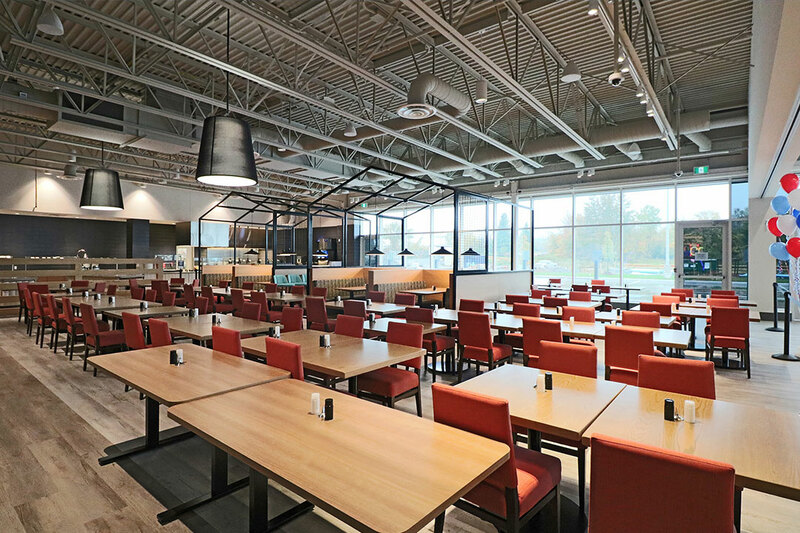 The two-storey casino is fully sprinklered, fire alarmed and encompasses a main level gaming area with two dining options and the second floor housing the casino staff offices. Landscaping includes storm water ponds, retaining walls, high wood fencing, environmental buffer zone and a total of 660 surface parking spaces. 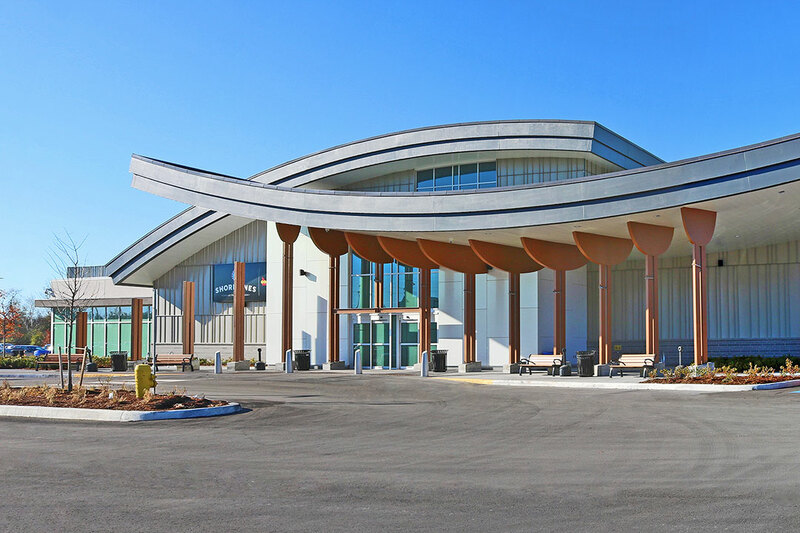 At the entrance, visitors are greeted with floor-to-ceiling windows, accented by natural stone, aluminum siding and exposed structural steel columns capped with decorative canoe ribs and two opposing curved roofs. 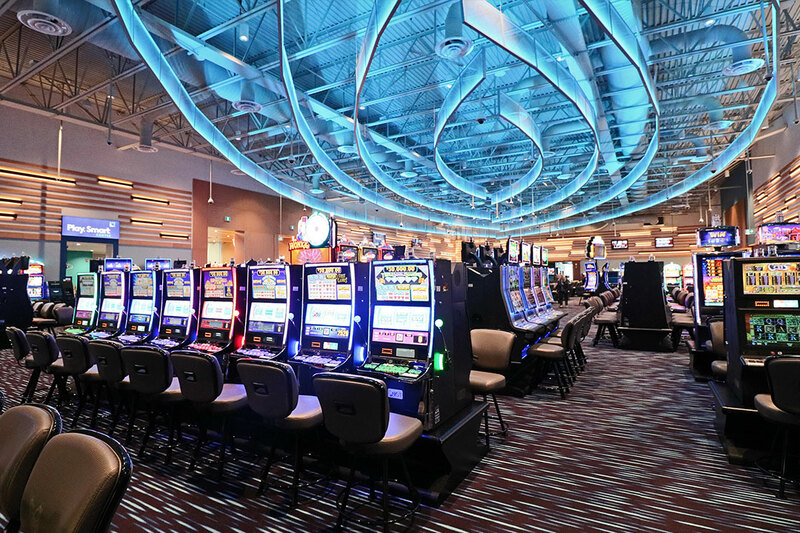 The new gaming facility features 520 slot machines, 22 table games, VIP area, 230 seat buffet restaurant, 40 seat a la carte restaurant and lounge, racebook and live entertainment area.